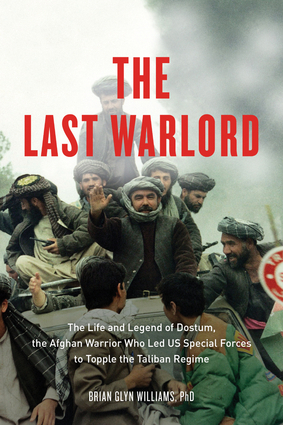 The Last Warlord tells the story of the brotherhood forged in the mountains of Afghanistan between elite American Green Berets and Dostum that is told in the movie 12 Strong: The Declassified True Story of the Horsesoldiers The Last Warlord tells the spellbinding story of the legendary Afghan warlord Abdul Rashid Dostum, a larger-than-life figure who guided US Special Forces to victory over the Taliban after 9/11. Having gained unprecedented access to General Dostum and his family and subcommanders, as well as local chieftains, mullahs, elders, Taliban prisoners, and women's rights activists, scholar Brian Glyn Williams paints a fascinating portrait of this Northern Alliance Uzbek commander who has been shrouded in mystery and contradicting hearsay. In contrast to sensational media accounts that have mythologized the "bear of a man with a gruff laugh" who "some Uzbeks swear, has on occasion frightened people to death," Williams carefully chronicles Dostum's rise from peasant villager to Uzbek leader and skilled strategist who has fought a long and bitter war against the Taliban and Al Qaeda fanatics that have sought to repress his people. Also revealed is Dostum's surprising history as a defender of women's rights and religious moderation. In riveting detail The Last Warlord spotlights the crucial Afghan contribution to Operation Enduring Freedom: how the CIA contacted the mysterious warrior Dostum to help US Special Forces wage a covert war in the mountains of Afghanistan, how respect and even friendship quickly grew between the Afghan and American fighting men, and how Dostum led his nomadic people charging into war the same way his ancestors had—on horseback. The result was one of the most decisive campaigns in the entire war on terror. The Last Warlord shows that, far from serving as an exotic backdrop for American heroics, it was these horse-mounted descendents of the Mongol warrior Genghis Khan that allowed the American military to overthrow the Taliban regime in a matter of weeks..
Brian Glyn Williams, PhD, is a professor of Islamic history at the University of Massachusetts–Dartmouth. 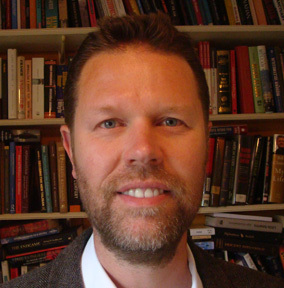 He has worked for the Central Intelligence Agency tracking suicide bombers in Afghanistan and is the author of Predators: The CIA’s Drone War on al Qaeda, Afghanistan Declassified: A Guide to America’s Longest War, and The Crimean Tatars: The Diaspora Experience and the Forging of a Nation.